You are here: Home / Life / The Summer Nutgraf: What Happens to University Newspapers When the Students Are Gone? The Summer Nutgraf: What Happens to University Newspapers When the Students Are Gone? Even though summer has comfortably moved itself in, and our college campuses have become desolate relics of a year gone by, many programs take on the challenge of continuing operation during these three months of downtime despite losing the vital resources they have during the academic year. Due to the online intimidating 24-hour news cycle, many large-circulation college newspapers endure impeding obstacles due to their staff’s other summer obligations. When student writers pack up their stuff and drive off with campus in their rearview mirror, student editors have to develop a summer game plan in order to effectively counter staff reductions, lowered circulation and dwindling readership while still maintaining the high standards they endorse throughout the academic year. “The general goals are the same as during the school year: produce an excellent student newspaper that informs the community and helps each member of the staff grow personally and professionally,” said Mike King, the editor-in-chief of the University of Maryland’s independent newspaper, The Diamondback. As many senior staff writers return to their respective hometowns all over the country for the summer, editors heavily depend on new incoming freshmen that have the strong desire to get their foot in the door at both their college’s central news publications. Editors, on the other hand, can usually work from anywhere, so they often remain working for the paper in the newsroom during the summer despite their location. “Almost all of the editors work in similar numbers to the academic year during the summer,” King said. 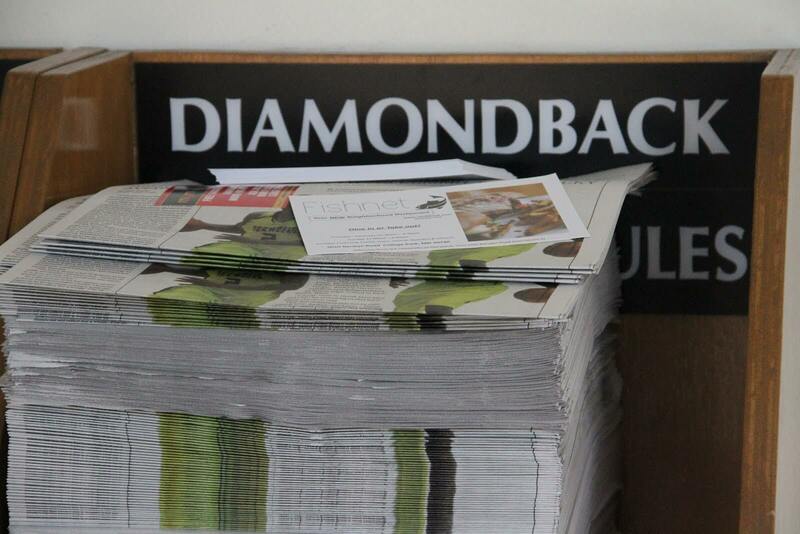 Due to financial restraints and the general consensus that it would be wasteful, large circulation papers like The Diamondback cut back to printing about once a week. This combined with lower readership and advertising basically cuts circulation in half for many colleges during the summer months. Despite the difficulties associated with circulating print, college news websites have provided many new opportunities for increasing summer readership by allowing editors to constantly upload various stories that wouldn’t fit in the periodic print edition. The luxury of online content expands to faraway audiences and keeps up with the rapid pace of the 24-hour news cycle. And for many of these stressed-out editors and reporters who are forced to juggle the paper with internships and summer courses, the reduced amount of publishing and writing for the summer is still enough to keep them busy.